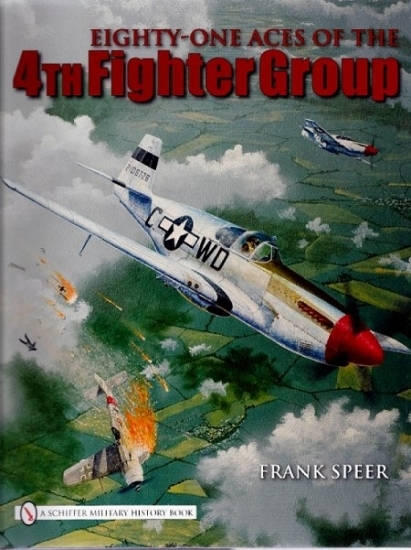 The 4th Fighter Group, armed with P-51s and aggressive, seasoned pilots, battled the Luftwaffe in the air and on the ground, achieving an impressive score of 1,016 German planes destroyed, the highest score of all Allied Groups. No American fighter wing has ever, or probably will ever achieve these extraordinary numbers again. Instrumental in achieving this record were eighty-one pilots who became aces and men whose stories are the subject of this book. Their accounts go beyond the battles and individual victories to give a glimpse of their original motivations and their subsequent successes, failures, and often violent deaths. Included in the book are detailed accounts of Don Blakeslee, Kidd Hofer, Don Gentile, John Godfrey, Vermont Garrison, Steve Pisanos, James Goodson, and dozens of other 4th Fighter Group aces. The accounts are written by the author, a fellow ace, who lived with them, fought with them, and survived to tell their fascinating stories. In addition to lots of great photos, the book includes over thirty full color reproductions of the great nose art created by the incomparable Don Allen. Although this book has the size and look of an elegant “coffee table” book, it is an exciting and beautifully written saga of these magnificent American heroes. This book will be a wonderful addition to any library. It also makes a marvelous gift for your aviation/military history enthusiast. Why is Classic Aviation & War Art offering this book? First of all, we specialize in the art and history of the Eagle Squadrons, the 4th Fighter Group, and the 4th Fighter Wing. In addition, the preface to the book was written by none other than Dr. Roy Heidicker, husband and historical adviser, to Judine Heidicker, the owner of Classic Aviation!